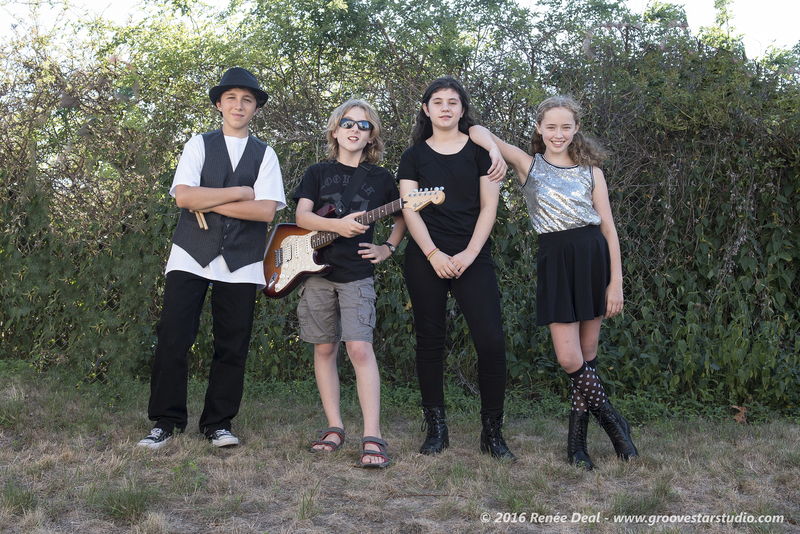 We have developed an exciting new tiered band program for young talented performers ages 11-13 years old. The most challenging issue in working with young performers is finding dates that work for everyone for practices and gigs due to busy family, social and school schedules. Due to these conflicts, bands can miss out on quality performance opportunities, as having one member not able to make it to events, could result in the cancellation of some great gigs. This can cause band breakups and other relationship issues. With a mission to avoid these conflicts, the Young Performers Club has structured a new program with a unique concept which will have specific band tiers. Tier 1 will be the core band group of permanent band members, and Tier 2 will be the understudy performers who will be involved when band members can’t make specific gigs. The band currently has four committed Tier 1 members with plans to add the Tier 2 performers in the near future. Over the coming weeks the band name will be announced. The genre will initially be a combination of classic rock, old school rock and pop. The Tier 1 band members were all selected by the Young Performers Club based on video and live performance review assessments. Their debut performance was as a headliner at the Little Big Shots of New England Showcase at the Seashell Stage at Hampton Beach, NH. Immediately, we will be auditioning for a tier 1 keyboard player and will also hold an audition for the tier 2 musicians. This will provide a good entrance into live performing, will enhance resume development, and enable newer performers to network with other musicians with similar interests. The overall concept will be to provide excellent quality performance opportunities for all participants, and enable the band to be able to cover scheduling conflicts and perform in more quality gigs. Performers will be responsible for learning a performance set list of approximately six songs. Performers’ financial responsibility will include paying a portion of the practice space, any required ticket sales for events participating in, and other gig related fees. A management fee will be assessed which will cover the communications, band development, coaching fees and other fees associated with performance training and coaching. Continued training with existing music coaches and teachers. Program benefits are as follows. Please email duffey@musiconandup.com if you are interested in this exciting opportunity. Having managed young performers for over 12 years, we are confident this tiered structure will work effectively, and that all participants will benefit from their involvement. Why do a showcase or competition music event?